Rajkummar Rao wrote on Instagram, "Easily the toughest character I've played till date"
Other films based on antagonists are - Baazigar, Darr, Vastav etc. When Rajkummar Rao's upcoming filmOmerta's first look poster was released on Twitter, today, we were left speechless. Rajkummar in his guise as a terrorist looked convincing. The film joins the league of projects that narrate the story from the point of view of antagonists, reported trade analyst Taran Adarsh. "First look poster of Hansal Mehta's upcoming film Omerta... 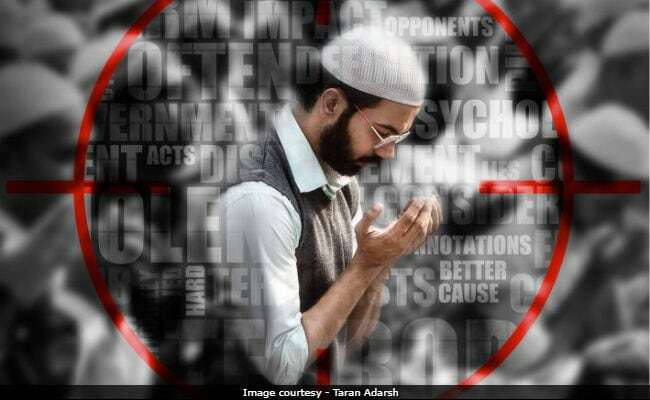 Narrates the story of terrorist Ahmed Omar Saeed Sheikh... Rajkummar Rao essays the lead role... Trailer on 14 March 2018... 20 April 2018 release," Mr Adarsh wrote in his tweet. From the time when the poster was released, words of appreciation have been pouring in for Rajkummar Rao and director Hansal Mehta. Omerta will hit the theatres on March 20. Rajkummar shared a picture of him as the antagonist on Instagram and wrote, "Omerta the story of an antagonist. Trailer will be out in 2 days. Easily the toughest character I've played till date." His fans went crazy over the news of him playing a terrorist. "Rajkummar Rao, you can pull off any character...So it doesn't matter if it's antagonist... We relate to you, your presence on screen and your realistic approach. Keep surprising us. Waiting for the trailer," read one of the comments posted on his post. Even filmmaker Anurag Kashyap couldn't contain his admiration of the duo - Rajkummar Rao and Hansal Mehta. He wrote on Twitter, Omerta is not an easy film to pitch, to sell... about the most unsympathetic man... a very hard character to play on screen and a harder film to make... put together by the most courageous duo of @mehtahansal and @RajkummarRao . Looking forward to see it on screen..."
Omerta is not an easy film to pitch, to sell .. about the most unsympathetic man.. a very hard character to play on screen and a harder film to make .. put together by the most courageous duo of @mehtahansal and @RajkummarRao . Looking forward to see it on screen.. Speaking of the film's unique concept, filmmaker Hansal Mehta told news agency IANS, "Omerta exposes state-sponsored terrorism and how it manipulates young minds into believing a sordid interpretation of Jihad. Terror is all about power." The plotline of Omerta revolves around the real life story of British terrorist of Pakistani descent Ahmed Omar Saeed Sheikh. Omerta will be Rajkummar's fourth venture with Hansal Mehta. They have previously worked together in films like Aligarh, CityLights and Shahid. There have been several Bollywood films made from the perspective of the antagonists such as Baazigar, Darr, Don, Vastav etc.